HVAC systems are one of the largest energy consumption categories for pharmaceutical and life sciences laboratories, data centers and production clean rooms. In the pharmaceutical and medical device sectors where patient safety and regulatory compliance take precedence, manufacturers are also committing to sustainable practices in facility management. 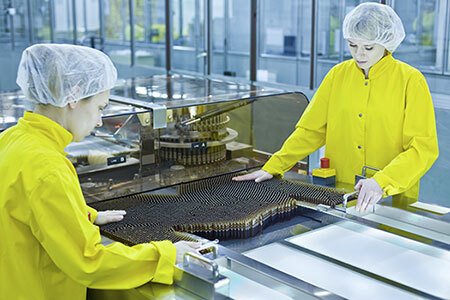 Optimum helps pharmaceutical companies to maintain the controlled ambient conditions that are crucial to product quality and, at the same time, reduce the energy consumption of HVAC technology. A global pharmaceutical customer recognized Optimum Energy's significant impact on its corporate carbon emissions reductions with a Supplier Sustainability award in 2013.